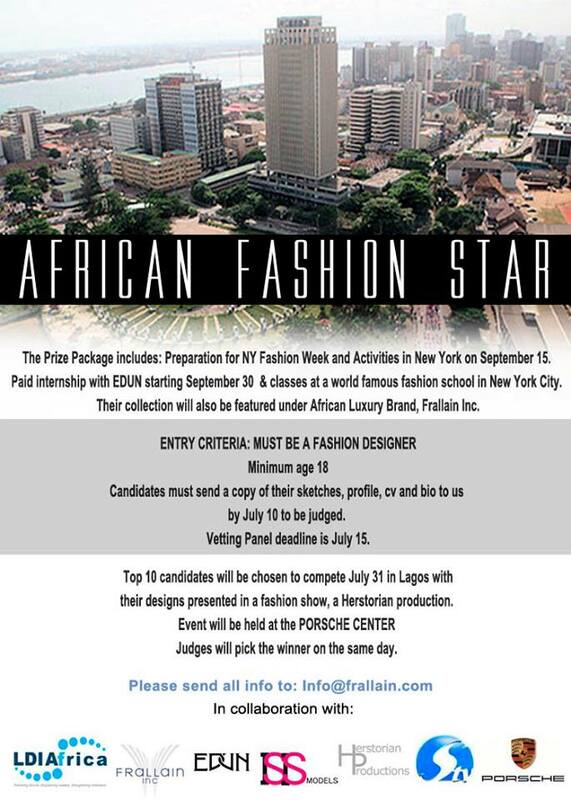 Contestants in the competition which is being held in partnership between Frallain the African Luxury Group, and EDUN will compete for the chance to win a paid internship with the fashion brand EDUN based in New York City and take classes at a world famous fashion school in New York City as well. 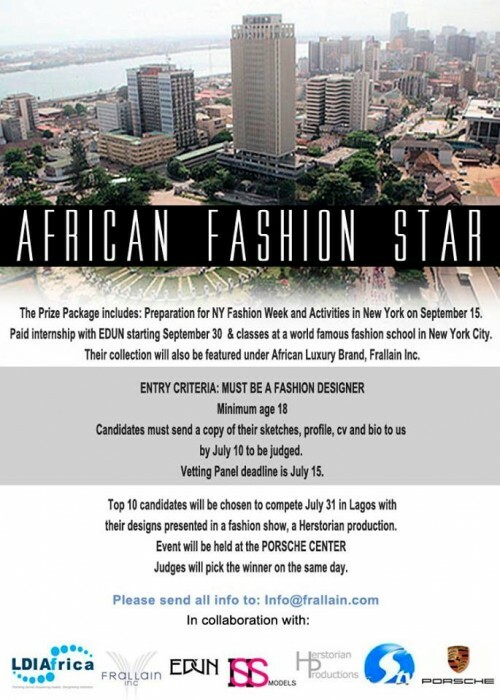 The call is out to welcome a young African talent as part of their trade and training programmes as part of the team in New York. We wish to extend thanks to those who helped to make this programme a reality,” says Janice Sullivan, CEO Edun. The winner will also be signed to Frallain and have their collections featured under the brand and the exciting opportunity for the winner will begin September 30th. “Frallain is very excited about this competition! We believe that this competition will give an African designer a rewarding opportunity in which they can take their design skills to a whole new level and introduce their designs to the international market,” says Roberta Annan, CEO of Frallain. Next articleInner Cruise – Senegals Selly Raby Kane Upcoming Collection Video Teaser!